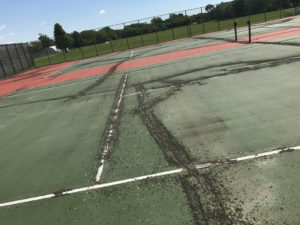 Are your Tennis Courts full of cracks? 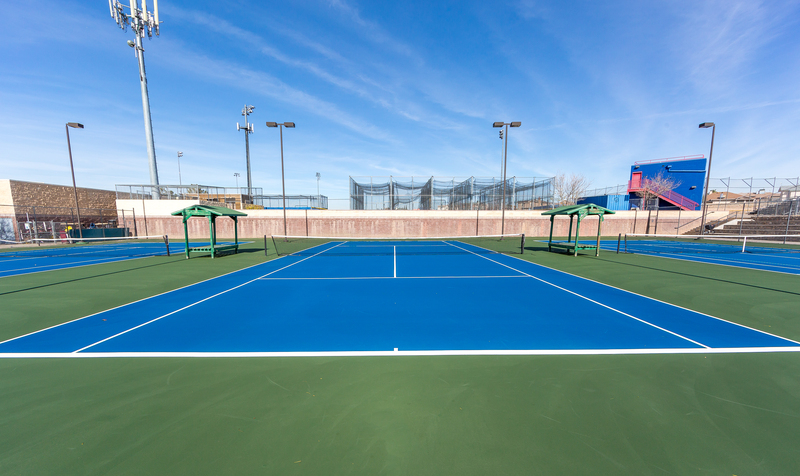 Extreme temperatures can adversely affect the structure of your tennis courts, causing cracks and depressions to appear. These defects aren’t just unsightly — they’re also unsafe and frustrating for tennis players. Weeds poking through a tennis court surface will wreak havoc on anyone’s tennis game. 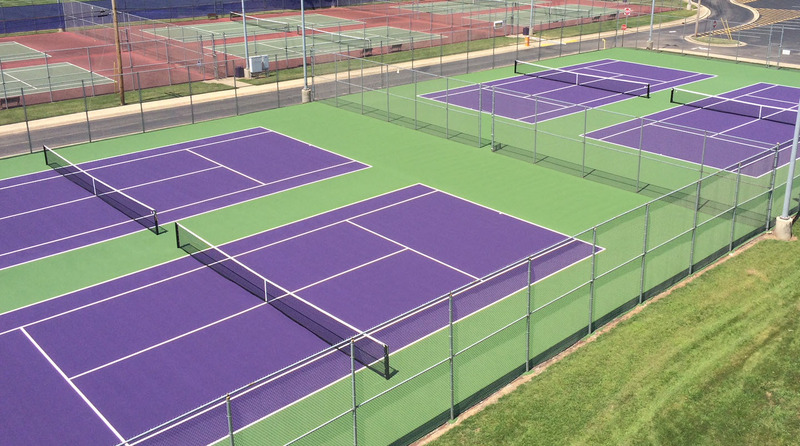 If your tennis court surface is showing signs of wear, Pro Track and Tennis has the right experience, the right equipment, and the right technology to take your court from cracked and homely to bright and beautiful again. 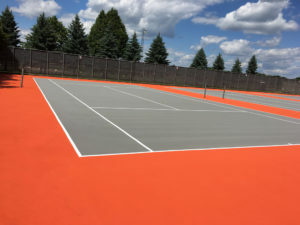 For ailing tennis court surfaces, there is no better solution than the Armor Crack Repair System and Pro Track and Tennis is a certified Armor Crack Repair installer. Tennis court surfaces in the Midwest get it all, from 100-degree heat to 0-degree cold. The Armor Crack Repair system is designed to adjust to the normal contraction and expansion that a tennis court surface experiences under these conditions, which gives an Armor-repaired tennis court longevity that other solutions can’t provide. And if for some reason cracks do reappear, we’ve got your back with our 5-year warranty! Pro Track and Tennis is proud to be a certified Armor Tennis Court Crack Repair System installer. Once the structural integrity of your court is restored, we’ll revive the appearance to make it look brand new again. 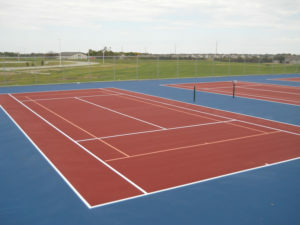 You’ll be able to choose vibrant colors for your courts, giving them a fresh and unblemished look. We’ll also restore the lines of your court to ensure that they’re crisp, striking, and accurate. 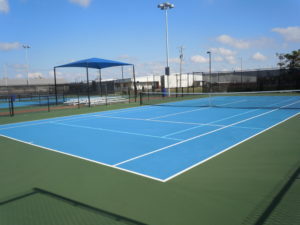 At Pro Track and Tennis, we‘re proud of the tennis court repair work we’ve done. Click on the images below to see why. 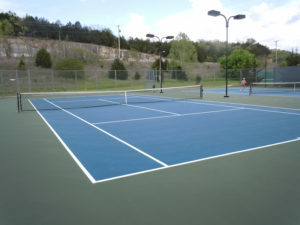 Fill out our contact form above or give us a call today to bring your old tennis court surface back to life!